So now it's your turn to let your comment!!!! It seems to be fun ! R U good at this ? ; It should be a kinda hard ! I'm always wondering how you guys do that :-O ! I mean, I've seen Steppin fot example and I was amazed, so quick, I like :P ! 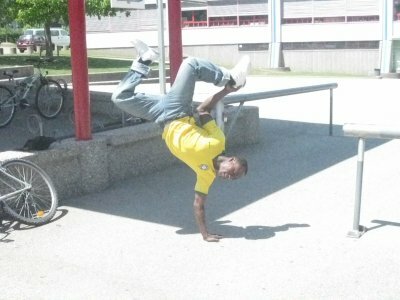 A c'est trop bien le breakdance !!! !